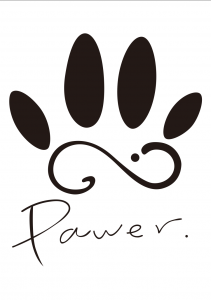 “Pawer.” is a platform that welcomes both people who are currently active in animal welfare activities and also to those who simply want to learn more about animal welfare. This website was created to provide different kinds of information about dogs and cats and to better understand the reality of animal culling in Japan. 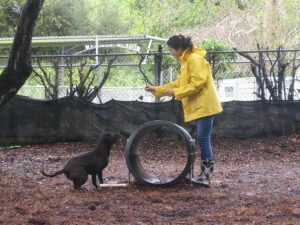 It is also for those who are willing to volunteer their time to help with animal welfare activities to connect with shelters and organizations that need help. The purpose of Pawer.’s existence is to protect innocent lives and create a happy relationship between people and animals. It is true that the situation for dogs and cats has been improving over the past few decades; however, Japan still lags behind in animal welfare compared with many other developed nations. Through this website, we share information related to animal rights and welfare that could be useful to anyone who may be interested in or are thinking about taking action. Paw × Power = Pawer. The bottom part of this logo is the infinity symbol formed with the tail of a dog, cat, and rabbit. We want to protect animal rights and treat our furry friends who cannot speak out for themselves with respect. This is how we came up with our name and our logo. Rabbits are typically used for animal testing. The information related to dogs and cats is shared on this website; however, they are not the only ones that should be treated with love and respect. All animals that are abused or in any type of danger should be a priority. Our future plan is to save all animals, not only from animal culling but also from animal abuse such as animal testing and in their use in fur products. We will continue our animal welfare activities until our community becomes a community that protects them all. I grew up with different kinds of rescued animals, which led me to want to volunteer for K9 PALS dog shelter while I studied in California. What I witness there was a welcoming shelter, where volunteers took the dogs out for walks and to the play yards. In the U.S., adopting a pet is common and known so that people have options to either adopt or buy a pet when they want one. Adoption events are often held in various locations in a city such as parks and pet stores. Although adoption is more common in the U.S., there are still many dogs and cats that are euthanized at animal shelters every year. 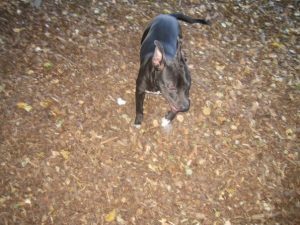 My very special shelter dog which was a pit-bull puppy, Lena, unfortunately became one of them for a reason that I was not ready to ask. I thought I was helping to save animals by rescuing and volunteering by myself; however, I started to question myself on why I could not even save a single dog that was in front of me. 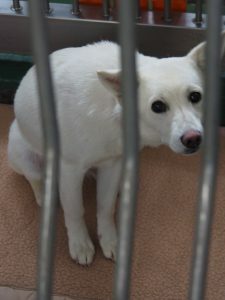 After Lena was put down, I did a research on how dogs and cats are treated in Japan. I learned that many puppies and kittens are produced in puppy mills and breeders to be sold for high prices at pet stores. Moreover, there are over 100,000 dogs and cats put down every year, mostly by gassing. I was very surprised that my own country lagged behind in animal welfare in comparison with many other developed nations. I then realized that the lack of awareness of the animal welfare situation in Japan is what needs to be changed. In 2016, Pawer. was founded in order to spread the information and to educate people about the reality of animal culling in Japan. I hope that this leads people to think and take an active role in making change. “Great job!” to my mother, I was born in Kyoto Japan. In 2003, studied in New Zealand for a year. Graduated from high school in Japan, then moved to California. Held Federal and CTEC license, and worked for a Tax Preparation Services Company. 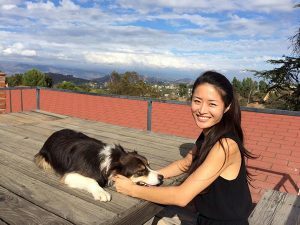 In Oct 2015, moved back to Japan to start animal welfare act. In Jan 2016, founded Pawer.